Emmitsburg, MD – Due to the forecast of rain on Sunday, October 8th, the National Fallen Firefighters Foundation (NFFF) is moving to the backup location for this weekend’s Memorial Service to honor 95 firefighters who died in the line of duty. Sunday’s Memorial Service will be at Mount St. Mary’s University, 16300 Old Emmitsburg Road, Emmitsburg, Maryland 21727, at 10:00 am and is open to the public. Parking for Press is in the A Lot. Press should plan to arrive by 8:15 am and be in place by 9:00 am. NFFF provides live satellite feed and streaming of ceremonies along with video of events for downloading courtesy of VISTA Worldlink, WUSA9.com, Freedom Broadcast Group and Digital Comm Link. For a complete list of fallen firefighters being honored and a widget to display their information on your website go to http://live.firehero.org . There you will also find Memorial Weekend streaming information, videos, photos, and satellite coordinates. This game will also be played to honor all those who gave the ultimate sacrifice on 9/11. It will also be the rededication of the US Lacrosse Headquarters 9/11 memorial with a piece of the World Trade Center and Pentagon added to the memorial. The US Lacrosse 9/11 memorial is dedicated to all the the people associated with the sport of Lacrosse who also gave the ultimate sacrifice. It consists of six (6) spokes to represent the Iriqous Nations (also known as the 6 Nations) who invented the modern day game of Lacrosse. Game will be competitive as many of the athletes have played at the highest levels of Lacrosse previously. 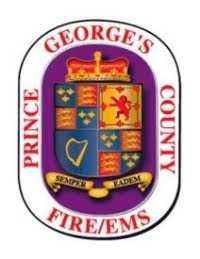 Prince George's County Fire Fighter/Medic Lieutenant John "Skillet" Ulmschneider suffered a Line of Duty Death on April 15, 2016. He will be memorialized at the National Fallen Firefighters Memorial in Emmitsburg, MD this Sunday concluding a weekend of services to remember our fallen and to assist survivors. In addition to Ulmschneider the lives of other 74 firefighters who died in the line of duty in 2016 and 20 firefighters who died in previous years will be honored during the 36th National Fallen Firefighters Memorial Service on Sunday, October 8, 2017. The service begins at 10:00 a.m. (ET) at the National Fire Academy in Emmitsburg, Maryland and is open to the public. 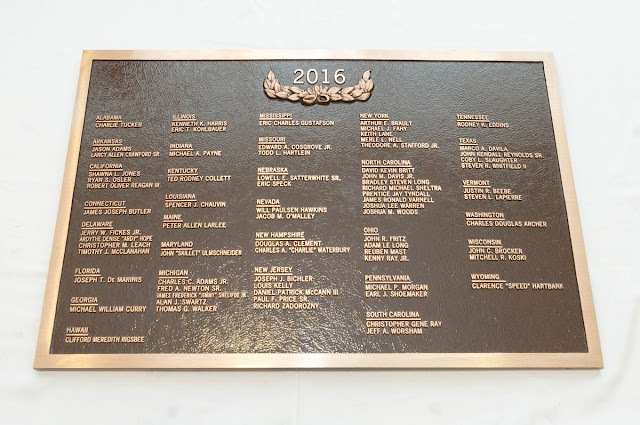 During the service, a bronze plaque bearing the names of the fallen will be officially added to the National Fallen Firefighters Memorial. These firefighters also will be remembered in a special Candlelight Service on Saturday, October 7 at 6:30 p.m. (ET). We encourage you to carry both services live. The annual tribute is sponsored by the National Fallen Firefighters Foundation (NFFF) and the Department of Homeland Security’s U.S. Fire Administration. More than 5,000 people, including Members of Congress, Administration officials and other dignitaries, members of the fire service, and families, friends, and co-workers of the fallen firefighters are expected to attend. · For live streaming information and satellite coordinates along with video of events for downloading. Go to live.firehero.org. · For a complete list by state of fallen firefighters being honored and a widget to display their information on your website, along with Memorial Weekend videos and photos, visit media.firehero.org for details. · Follow Memorial Weekend social media for news and updates. Please share and retweet.